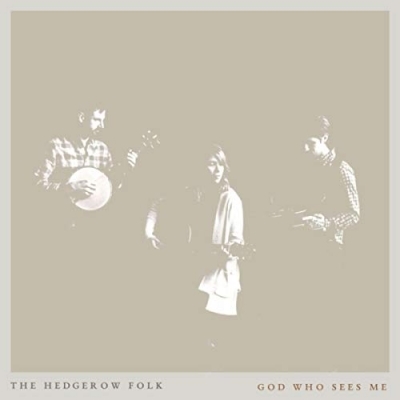 Alabama based folk band The Hedgerow Folk are releasing their new single 'God Who Sees Me' on September 14th through Old Bear Records. The single follows their second album 'Compass', which was released last year following a successful kickstarter campaign, featuring the singles 'Nothing To Prove' and 'Father Son and Ghost'. Faith and circumstances are often at odds with one another. Wanting to understand why things are going the way they are, or why a certain season feels so hard, can make us question whether God is actually present and at work in our lives. On September 14th, Old Bear Records will release a new single by The Hedgerow Folk that was written from such a place. 'God Who Sees Me' is a song of hope and an encouragement to believe that we are seen and loved by the God of the universe, regardless of what our feelings might tell us. Amanda from The Hedgerow Folk said of the song, "We were in a time of feeling distant from God, and unsure of how to get back to Him; a season of doubt, heavy with a longing to hear from God and to feel His presence again. As we sought the Lord, the story of Hagar in Genesis 16 really spoke to us. While on the run and alone in the desert, this oppressed and mistreated mistress has an encounter with an angel of the Lord. God doesn’t come and rescue her from difficult circumstances, but instead directs her to return and submit to them. But He gives this command with the promise of a blessing. And it’s here that she gives this name to the Lord: 'You are the God who sees me'." Hagar's story and the song 'God Who Sees Me' reminds us that circumstances may not change, but our perspectives can when we truly grasp and believe that we are seen and known by the God.